If there was a Queen of afternoon tea it would without a doubt be my friend and fellow blogger Chloe from New Girl in Toon. A few Saturdays ago, along with Sam from North East Family Fun. It felt like we haven't got together for a good old chat for absolutely ages and I've missed them both so much. When Chloe arranged the afternoon tea I was a little surprised when she told me that she would be throwing the event at her house. I thought surly it would be easier all around it we met some where to save on washing up. 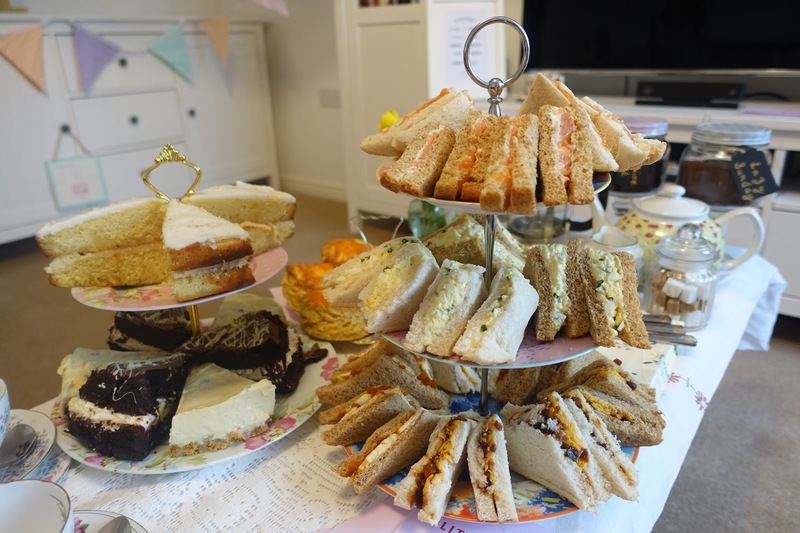 Arriving at Chloe's house it was all decorated with bunting and the afternoon tea was laid out beautifully on her coffee table beautiful set up by mobile afternoon tea specialist Mrs Dellows Delights. 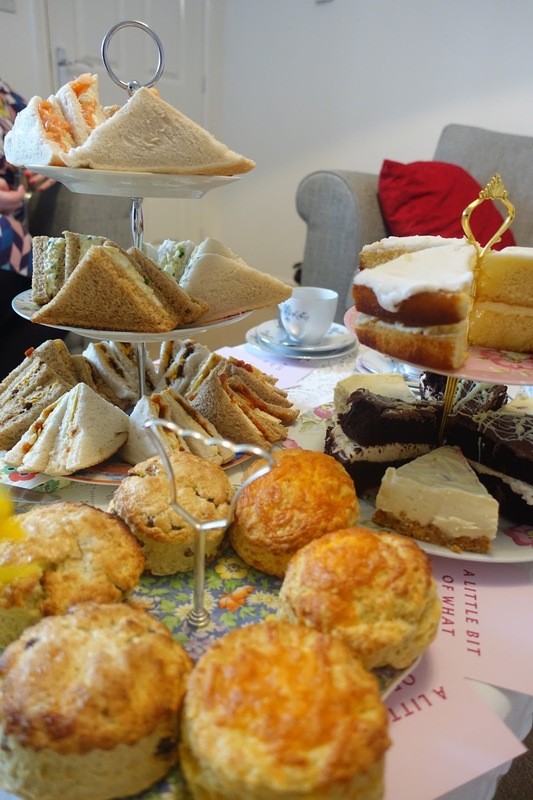 There are 4 afternoon tea packages to chose from starting at £9.95 to the one that includes bubbly for £16.50. The thing I really liked about Mrs Dellows was the portions were massive. One thing is for certain we were not left hungry at all. We all had a cheese and fruit scone, lemon cake, raspberry cheese cake, death by chocolate cake and I honestly not sure how many sandwiches we had each. 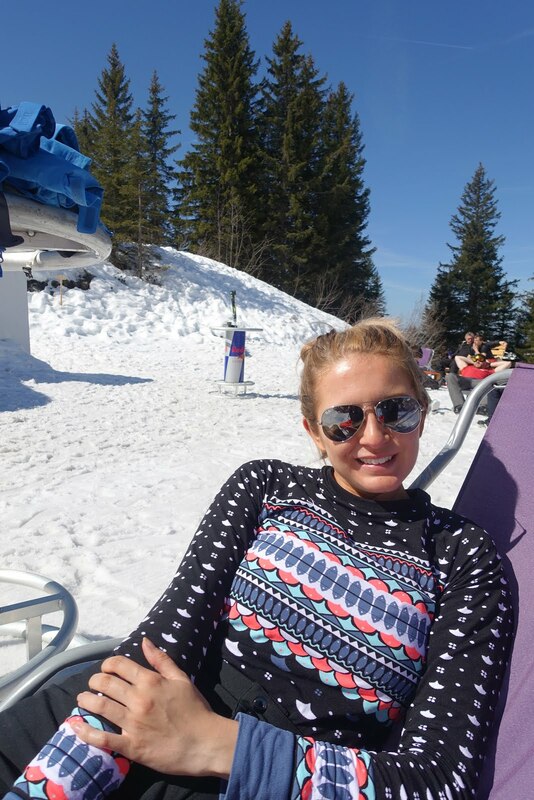 Chloe didn't need to worry about anything. 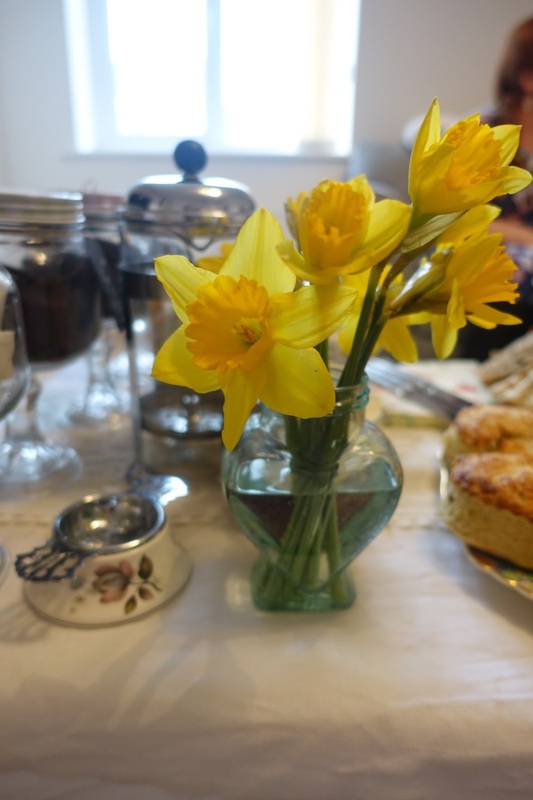 Mrs Dellows supplied everything from the tea bags for my peppermint tea, the butter for our scones and daffodils on the table. Once we were full and taking a moment on Chloe's comfy sofa we couldn't believe how much food was left over. I even got to take a cheese scone (my favourite part about Mrs Dellows afternoon tea) and a piece of chocolate cake home! I think the idea of Mrs Dellows is brilliant and something I think will really take off. 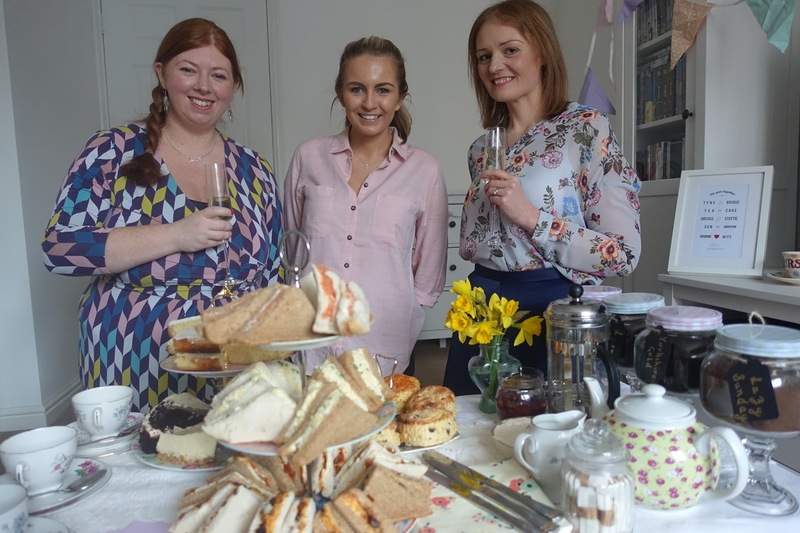 Afternoon tea in the comfort of your own home without the hassle of preparation and washing up is an excellent idea. 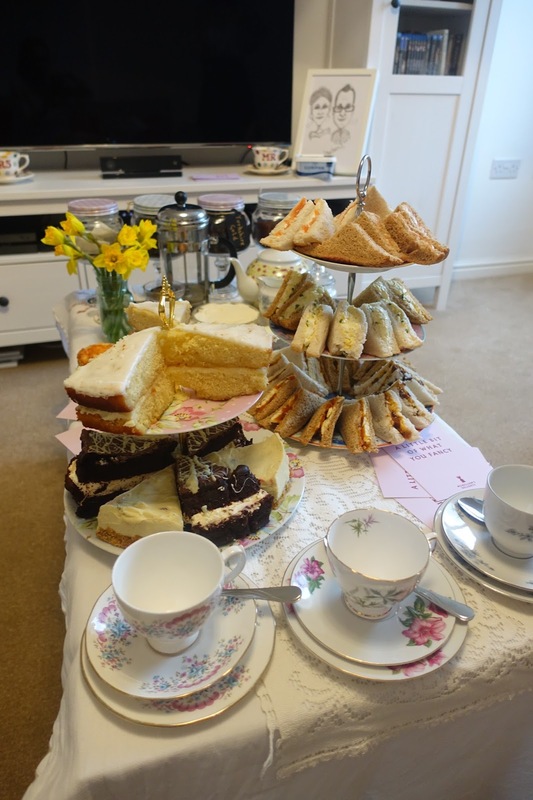 To book your own afternoon tea at home please see Mrs Dellows Delights contact page here. *Afternoon tea was complimentary for purpose of review - Cheese scones will always be my favourite part of any afternoon tea.